Dr JJ Bright, in his paper ‘Curcumin and autoimmune disease’ comments that curcumin ameliorates conditions like multiple sclerosis, rheumatoid arthritis, psoriasis, inflammatory bowel disease etc. It does so by regulating the activity of inflammatory agents and pathways activated in immune cells. With this as my launching pad, I had to learn more about turmeric and how it aids in our bodies. What I discovered was that most of the curcumin that we ingest gets metabolized before it can get absorbed. 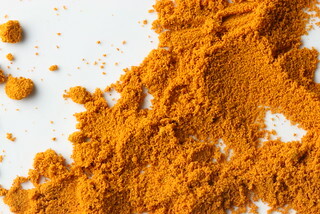 So how can we make turmeric more bioavailable? This is when I discovered a study that showed heating turmeric increased its ability to alleviate autoimmune disorders. Turmeric is fat soluble, so adding coconut oil or ghee (both super healthy fats) also increases our bodies ability to absorb curcumin. And to really increase it’s bioavailability – a study was done that showed adding Piperine, the key chemical in black pepper helps make curcumin, one of the main compounds found in turmeric, more bioavailable, too! Though turmeric is beneficial to many – talk to your doctor before taking turmeric if you also take blood-thinning medications, including warfarin (Coumadin). Turmeric may not be appropriate for people who have gall bladder issues, couples who are trying to conceive, and people who have iron deficiency anemia, as it can potentially worsen these conditions. 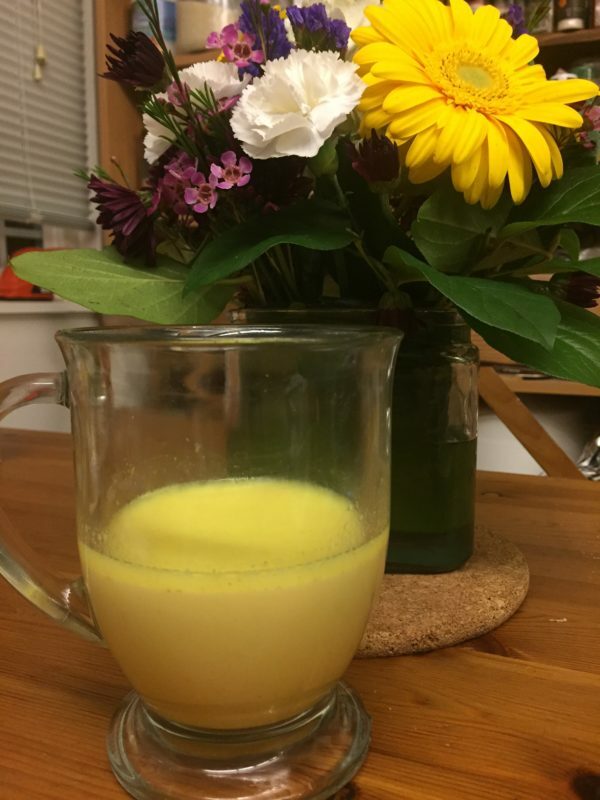 If turmeric may be something you want to add to your diet – consider trying Golden Milk, an ancient Ayurvedic drink made using turmeric and milk. It’s heated for 10 minutes and utilizes coconut oil and black pepper to increase bioavailability. It’s easy to make and oh so yummy! It has a warm, nutty, but sweet taste and is a wonderful beverage day or night. A delicious, creamy tea that is perfect to help warm and soothe the soul. Great article and I appreciate the information about heating turmeric and how this increases its absorption. Thank you.